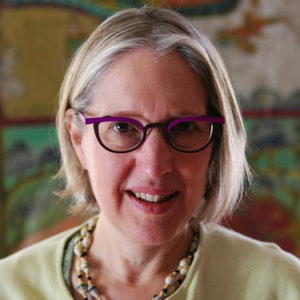 I am a historian of religion with research interests in the history of Buddhist ethical ideas and modern religious reform and social justice movements in Southeast Asia, Cold War Buddhism, colonial Buddhism, and religion and visual culture. Much of my work focuses on Buddhist ethics of care and/or “local” interpretations and expressions of Theravada Buddhist thought within larger transnational or transregional networks. My current projects include work on Buddhist visual ethics of care in nineteenth and twentieth century Cambodia, as well as a study of Buddhist temporality during the Cold War in modern Southeast Asia. I regularly teach courses on Buddhism, Asian religions, transnational religion, Southeast Asian colonialisms and modernities, and theory and method in the study of religion. Anne Hansen. 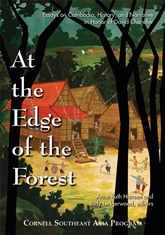 At the Edge of the Forest : Essays on Cambodia, History, and Narrative in Honor of David Chandler. Cornell University SEAP Press, 2008. “Poverty and the Poor in the Buddhist Tradition” (with Jordan Baskerville), in Poverty and the Poor in the World’s Religious Traditions: Religious Responses to the Problem of Poverty, pp. 110-148, edited by William H. Brackney and Rupen Das. (ABC-CLIO 2019). “Buddhist Communities of Belonging in Early Twentieth Century Cambodia,” in Buddhist Encounters with Modernity, Theravada Civilizations Project volume 1, edited by Steven Collins and Juliane Schober. (London and New York: Routledge Press, 2017). “Painting Ethics: Death, Love, and Moral Vision in the Mahāparinibbāna,” Journal of Religious Ethics 44.1 (2016): 17-50, 2016. 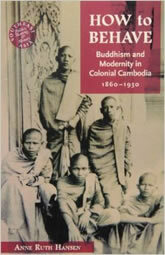 “Buddhism in Modern Southeast Asia,” The Routledge Handbook on Southeast Asia, edited by Norman G. Owens, pp. 224-234 (Routledge Press, 2013).